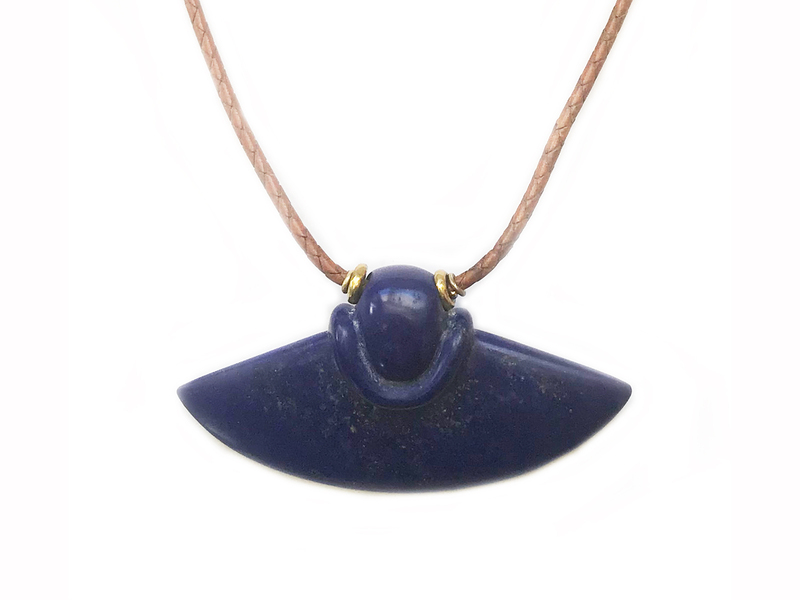 Lapis Axe Pendant hand carved by the amazing Scott Diffrient. Lapis Axe Pendant hand carved by the amazing Scott Diffrient. 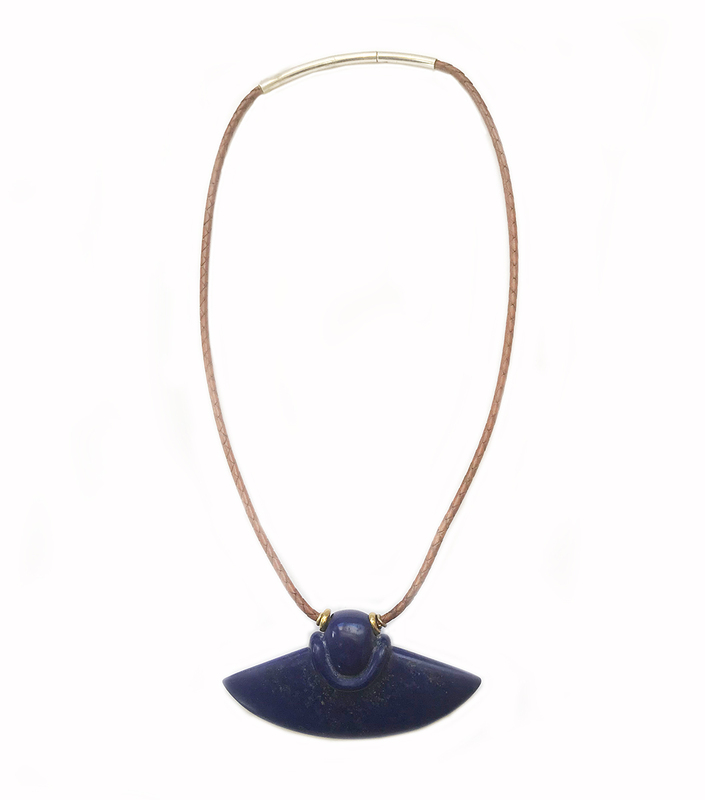 This striking necklace features a fabulous piece of hand carved lapis strung on a leather cord. 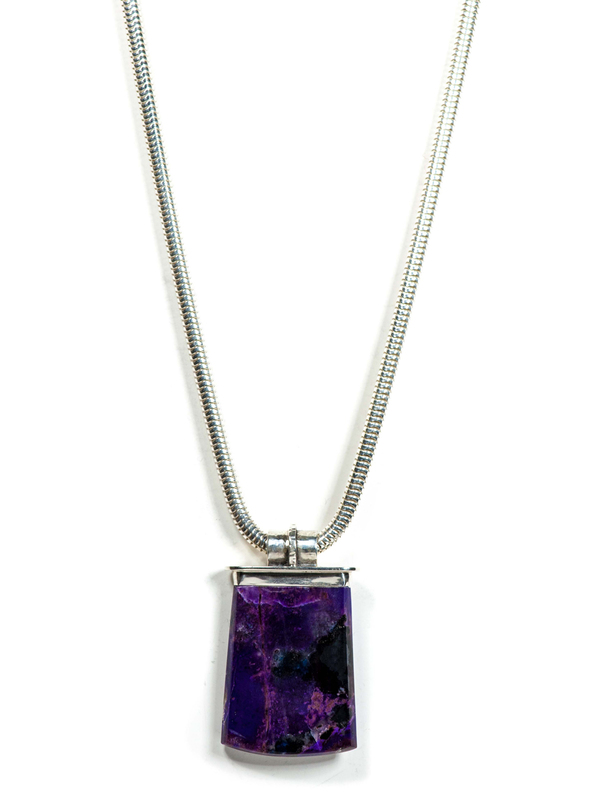 The pendant is 1 1/2″ inches long by 3″ inches wide. The leather cord is 18″ inches. Scott Diffrient is a contemporary artist who is willing to invest the time and precision necessary to produce fine works of art. 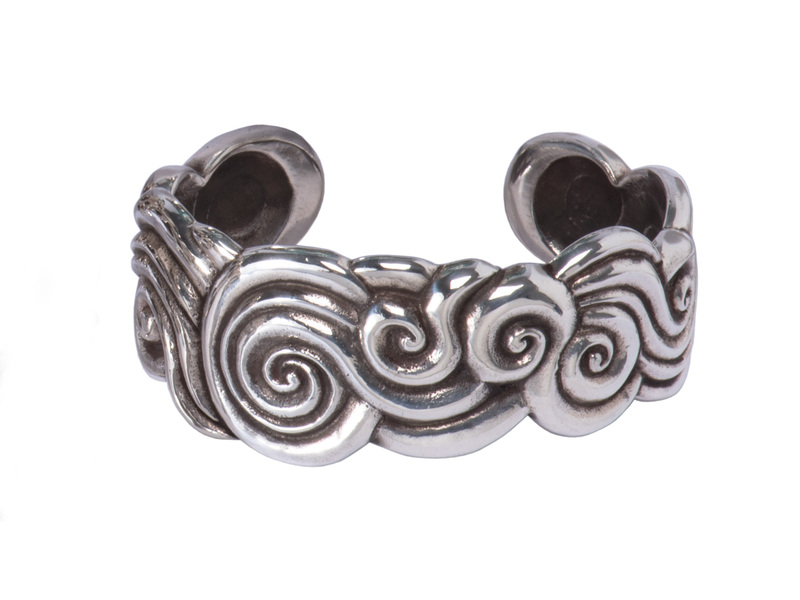 His jewelry is influenced by his love of ancient cultures. His designs are reminiscent of ancient architecture. 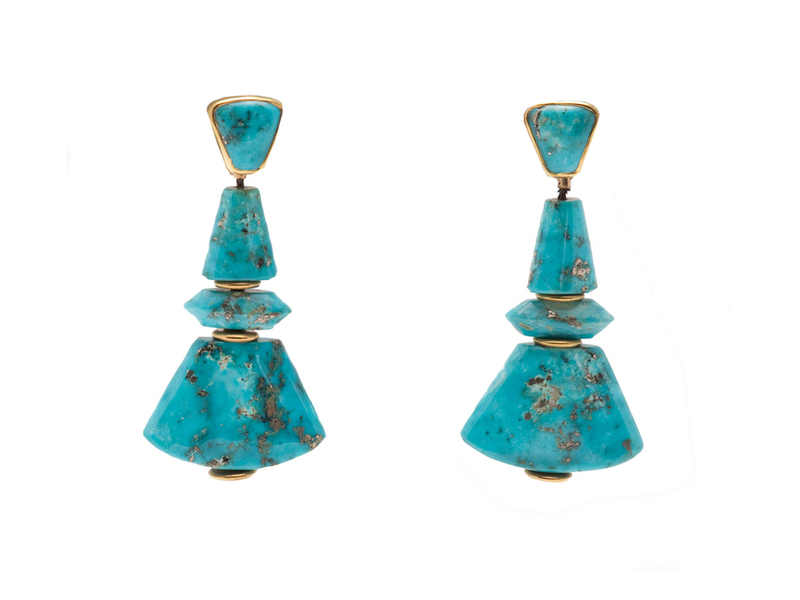 From his light filled studio in Galisteo, Diffrient works with rough stones of high quality, predominately North American natural turquoise, as well as stones from around the world, such as sugilite, coral, jade, lapis, lazuli, and more. 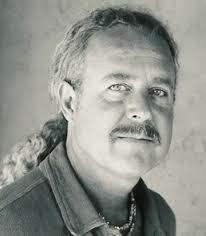 The Southwest has provided a constant source of inspiration for Diffrient’s “modern artifacts”. His rings, bracelets, earrings, belt buckles, cuff links and necklaces reside in collections of bead and jewelry enthusiasts across the country and are prized as treasured personal adornments, as well as highly valued collectibles.